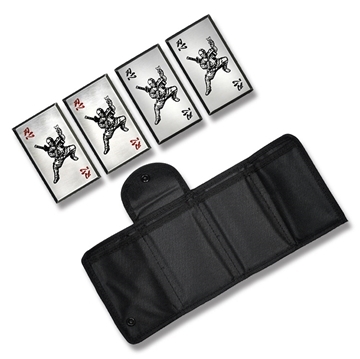 Play poker ninja style! 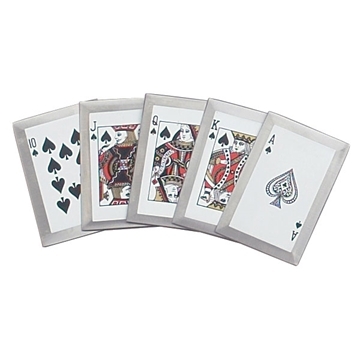 Royal Flush in Hearts Throwers. 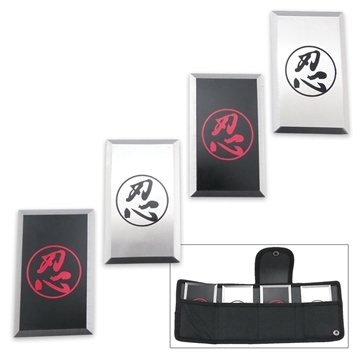 (Set of 5) with nylon sheath. 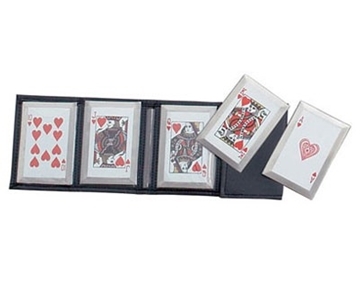 Play poker ninja style! 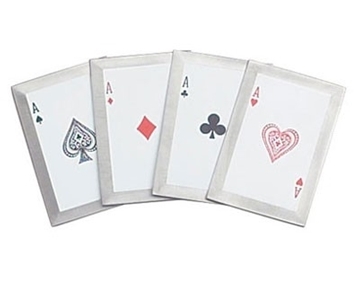 Royal Flush in Spades Throwers. (Set of 5) with nylon sheath. 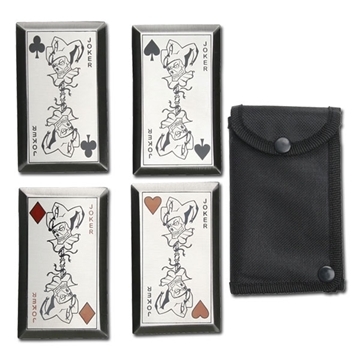 Four piece stainless steel "Aces Wild" throwing card set includes nylon carrying sheath. Dimensions are 3.5" x 2.3"